Apple’s operating system is packed with millions of high-quality applications that are personalized to best fit the needs of every user, and everyone admits it! It is the reason why Apple’s iPhones are still hot in the market though Android is trying its best to dethrone iPhones. In fact, Apple knows better about the applications and the users’ needs. iPhones and their applications are not just for entertainment but they are become crucial for businesses and personal use. The dominance of Apple’s iPhone and its applications in today’s market points out why they’re “the” best in market. With the requirement of apps, the apps production is also on peak. In other words, number of iOS app developers count has to be doubled. And if someone is really interested in app development then “why not he should be becomes an iPhone app developer to earn some quick money?” If you’re really interested in iOS app development but don’t have any idea on where to start from, this post will guide you to the stairway of success. Here, in this post I’ve compiled some interesting iPhone application development courses and guides which would suit everyone who are looking forward to become an aspiring iPhone app developer. I know there are plenty of courses available online nowadays, but I just wanted to handpick some of the best to narrow down your search process and help you to achieve your app development goals easily. Here you’re with the list of iPhone application development courses and guides. These are the online and offline Courses for learning iOS app development. This is an excellent online course tutorial for beginners to start with. Via this course, rookies can become familiar with Objective C, iOS SDK, iOS application and frameworks, and testing as well. Not only this, even newbie can learn how to develop an iOS app and submit in Apple’s iTunes effectively. Upon finishing this topic, it becomes easier for the newbie to become a pro developer in a short period of time as this course offers in-depth basic app development techniques. 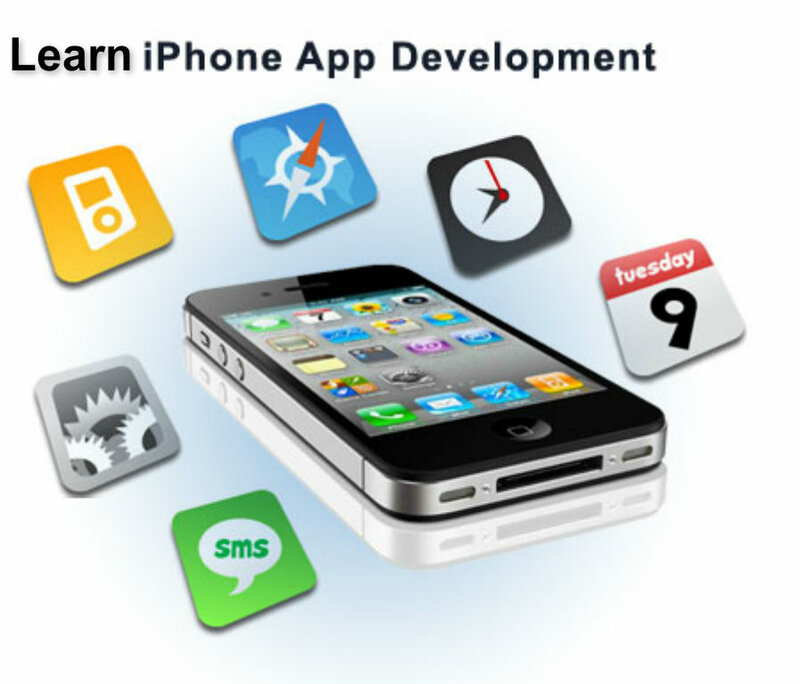 This is an online portal offering free iPhone application development course for beginners and students that are interested in iPhone app development programs. This portal features an array of video lectures on Objective-C, Mac OS X, Cocoa Touch Level, next to help you learn how to raise an iPhone app with in-built accelerometer. Besides, it also explains about mulch-touch functionality as well. This course starts at summer 2013 from 11/9 to 11/13. Though the certification option is closed, individuals still can schedule their app development classes in this site. This course promises topics like cocoa design patterns, advanced app development, core animation, layer-backed views, etc. However, this course is certainly not for beginners but for pros who have a proficient knowledge in Objective C, XCode, Interface Builder etc. This portal offers excellent coaching material for developing iOS apps in the form of 4x 90-minute instructions on iOS app development. Also, you can buy the entire course materials via PayPal from this portal anytime you wish to. This app development instructions and sessions are not only applicable to iOS app development but also to iPad-based application development. Here I’ve provided two interesting guides which can help you grasp some basic and crucial information about iOS and how to develop applications on this platform. Using this amazing guide you’ll be able to realize and visualize how to develop a winning iPhone app and publish it on the Apple’s iTunes. Besides it throws light on more information like how to evaluate your app idea, how to design your app, how to market and how to launch, etc. which could be highly beneficial for your app development journey. This post from Hongkiat.com offers some valuable information on developing iOS applications with calculated approach. Via this guide you’ll learn how to plan your iPhone app structure, design photoshop mockups, developing apps in XCode, MVC programming hierarchy, design view, iOS design gallery, etc. This is a useful material which could help you turn up into an app development pro after a short period of practice on your own. I hope all the courses and guides provided in this post are beneficial to readers and help them in the process of becoming a professional iOS app developer. Don’t waste your time! Join a course now and start exploring the iOS app development space and start earning solidly! Excellent content as usual Elaine!! I have a basic WP site to showcase my games, but I’m def utilizing some of these! Thanks for sharing this post. Actually i am thinking about to join iPhone application development training classes. So can you please provide me the detail about your fee structure?